The Inn is pleased to offer our newest accommodations, the Sharp Houses. 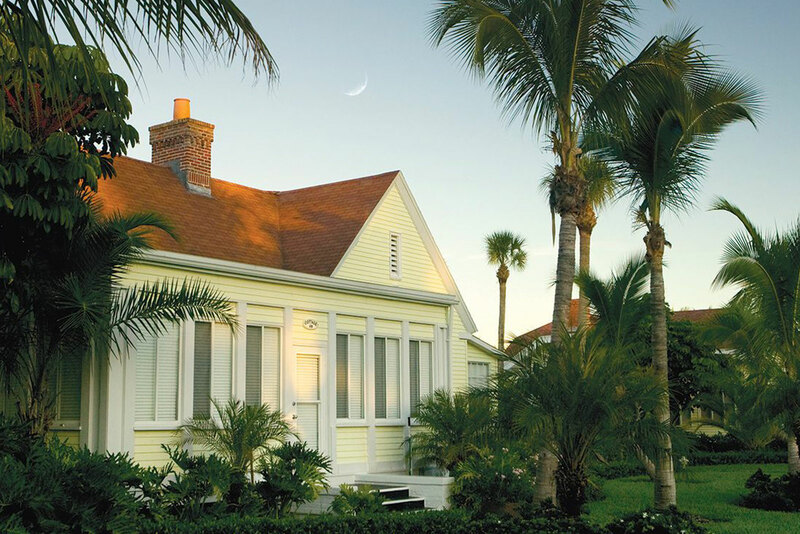 The design of the Sharp Houses preserves the same ‘Old Florida’ charm found throughout our resort. Just steps away from The Inn, the houses include both three- and four-bedroom options, and range from 2,300 to 3,850 square feet. The spacious accommodations feature kitchen, dining and living areas with an open layout – ideal for relaxing together – as well as amenities such as a washer and dryer and front porch. The Inn’s Sharp Houses offer a relaxing, unique setting for families, friends and groups. The Gasparilla Inn & Club is a smoke-free environment. All Sharp Houses are pet friendly — additional fee to apply. 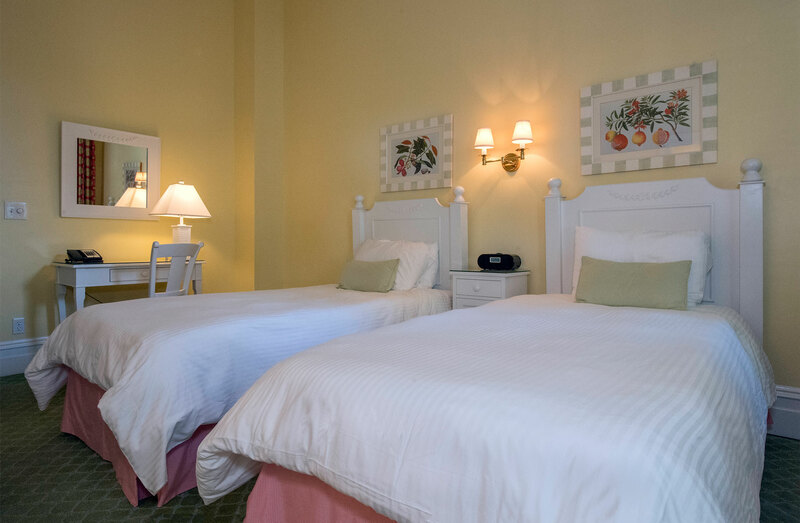 There are 63 deluxe king, queen and twin-bedded rooms, as well as suites within the charming main Inn. All rooms feature individual temperature control and Tempur-Pedic* beds for the ultimate in guest comfort, as well as wireless accessibility. All guest accommodations offer the choice of European, Modified, or Full American meal plans. The Gasparilla Inn & Club is a smoke-free environment. 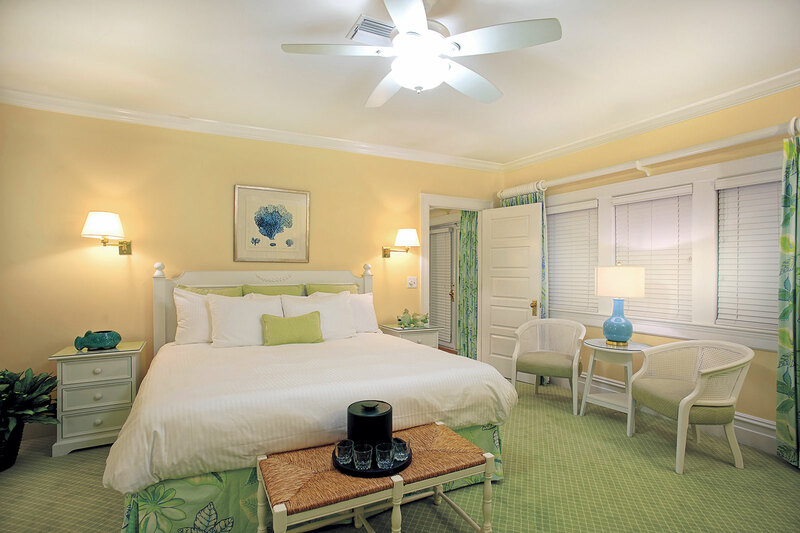 Guests of The Gasparilla Inn & Club may choose accommodations from 18 private cottages and villas featuring king, queen or two twin-bedded rooms. 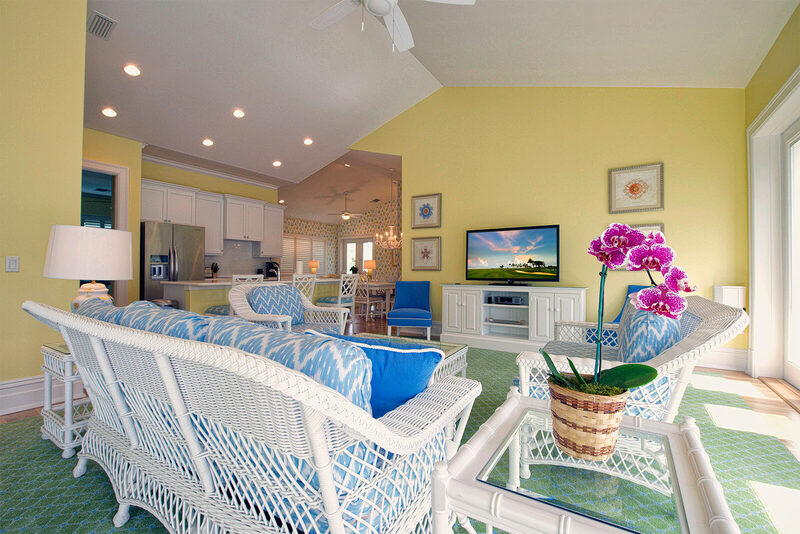 All cottage and villa accommodations are located just steps away from the Main Inn and provide the option of parlors, lanais, or kitchenettes. All 76 sleeping rooms feature individual temperature control, as well as wireless accessibility, and Tempur-Pedic* beds for the ultimate in guest comfort. The Gasparilla Inn & Club is a smoke-free environment. All cottages and villas are pet friendly — additional fee to apply. For more information on the details of our accessible guest rooms please call (877) 764-1420 to speak with a reservation specialist. To learn more about our resort accessibility visit our Accessibility webpage.